My greenhouse is full of flowers! Obviously I know that before a plant has fruit it will flower, but I don’t think I was expecting to have a full on floral display. Its really pretty in my little greenhouse at the moment. 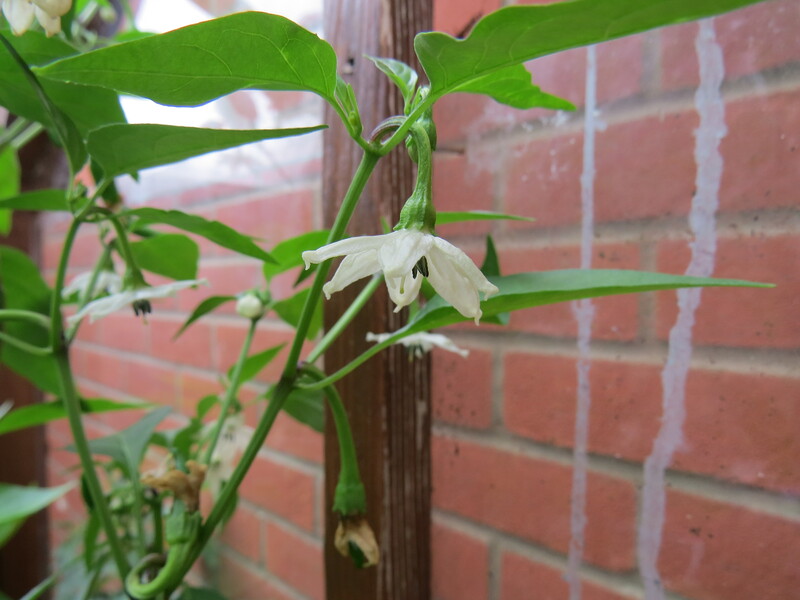 There are flowers everywhere, climbing down the bench legs, climbing up the window frames, there are even delicate little flowers forming little on the chilli plants. 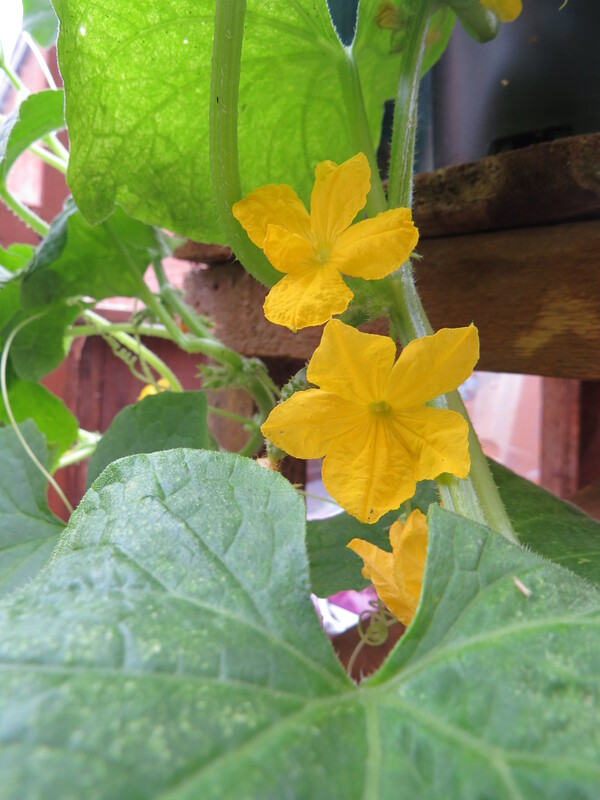 All this time I’ve been walking round my garden oooing and ahhhing at the flowers in my borders and hanging baskets and have been completely oblivious to the flowers popping up through the windows of my greenhouse. 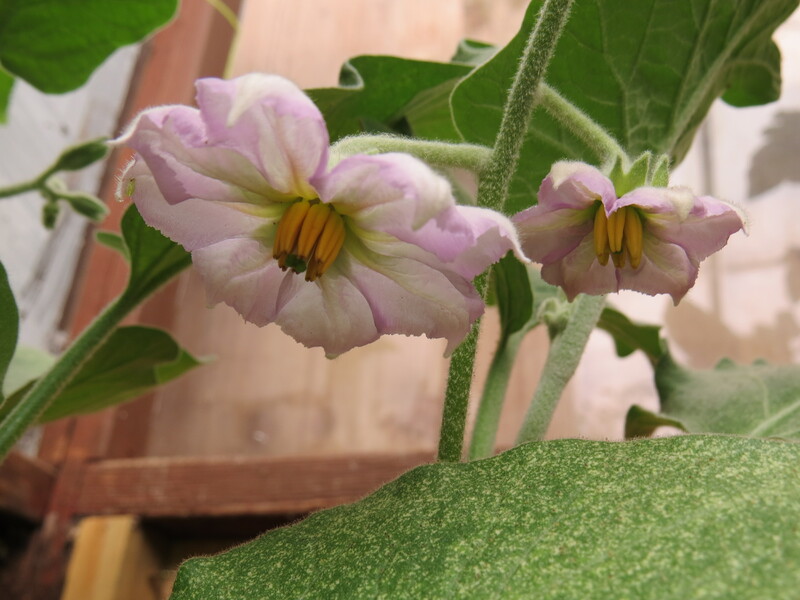 My favourite flowers are on the aubergine plant, they’re really pretty with their purple tinted edges and bright yellow stamen. They look quite sculptural. 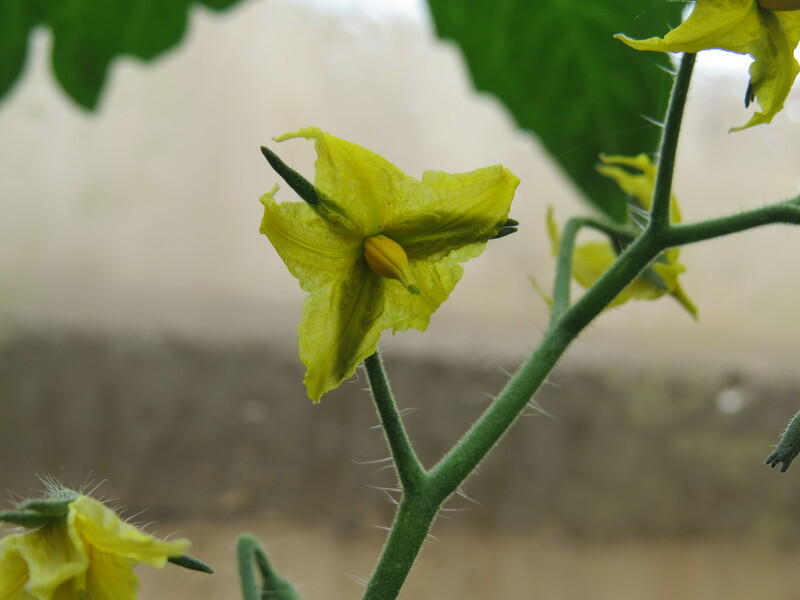 And the best part about all of these flowers, is that when they have finished they will be replaced bu fruits. Win win. Looks lovely! Lots of happy plants!